Do you get the home health care you need and want? Experience in the Home Health Care Field. One of the first things you have to check is how long the provider has been in this field. It doesn’t mean that a company that’s been around longer provides better quality but it does show their stability. A provider meets more clients the longer they stay in the industry. If you find a home health care provider that’s been around for years, it means you can speak to more clients and hear what they have to say. There’s no better review than a testimonial from a previous healthcare consumer. Even if the provider is a few years old, you will still need to do an extensive background check. It’s important to see if everything this provider says is true. You’ll also want to look for any hints of shady business. Make sure to look if they changed their name or had negative reviews in the past. Make sure the provider has a physical address or else they could run away after scamming a few consumers. Part of this background check is looking into their credentials. You need to check the provider’s business permit, their licenses to operate in the medical field, and more. Don’t limit your background check to the provider. You also have to look into how they handle their employees. Look into the credentials that the provider demands of their employees. Do they require their doctors, nurses, and aids to submit certifications, licenses, and more to prove they’ve had the training and education for the job? Does the provider keep their employees trained and updated in the industry? What kind of professional testing and background screening does the provider conduct for its employees? All of these questions ensure you deal with professionals who are clean of criminal records and can prove their expertise. Keep in mind that some healthcare jobs don’t require a degree. For these occupations, make sure that the providers at least have some formal training and certification to prove it. Staff Employees or Contracted Workers? Contracted workers are not the spawns of evil but it is better if you are dealing with staff employees. The reason is that employees may have proper insurance coverage and guaranteed training. When a provider outsources to contracted workers, they don’t have much control over the quality of training and knowledge of those people. This means, like you, they rely on the paperwork to see if someone qualifies for the job. If something goes wrong, a contracted worker might not have insurance. Imagine what would happen if that worker broke your wheelchair or spilled your medications. If they can’t pay then who will? Going for CDPAP is the best option. You can choose a friend, relative, or anyone you trust to be your caregiver. This means you get to rely on someone you know has the training and it is someone you are comfortable being with. Is a Home Visit Needed? 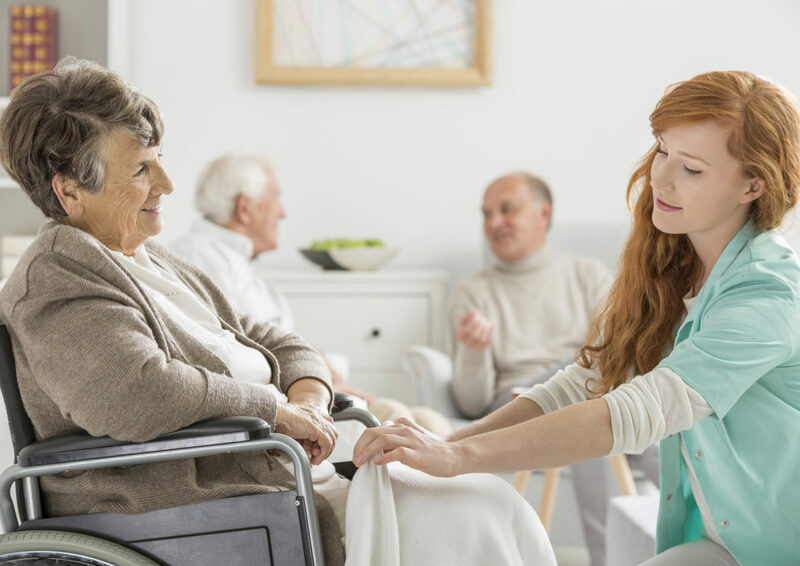 A common practice is for the home health care provider to send a representative and check the home before moving forward with a plan. This lets them evaluate the patient’s situation and living circumstances. Not everyone is comfortable with this. Some people want to avail of great healthcare without someone inspecting first. It sends a message that you might not qualify if the home is a high-risk environment or if they see you can afford healthcare in a commercial space. Another good way to get the best home health care provider is to ask for professional references. When looking up different providers, ask doctors, nurses, and social workers for their opinion regarding those companies. These professionals can give you an inside look at these providers. They can tell you secrets of the trade and what to look for when talking to a health care agency. A good agency is one that both clients and doctors like. How does the provider evaluate the client’s needs? How do they check what kind of therapy or medication program is best for that client? Do they use scientific and medical procedures to come up with those solutions or do they pull the answers out of thin air? Also, make it a point to check what procedures they do use if they have some. Do they visit the client’s home? Do they run a medical background check or speak with previous doctors? Will the provider run several laboratory tests and if so, how much will they charge you since this is only for evaluation purposes? Proper home health care is no joke. You don’t want to waste money on the wrong employees and agency. Your life and the life of those you care about are on the line. Don’t waste your resources and don’t risk your life. You can get the best healthcare provider right now. As a matter of fact, with CDPAP you can choose what kind of health care you want, who provides it, and where you receive it. Not sure how it works or what it costs? Send us a message and we’ll be glad to answer all your inquiries and do our best to give you the best care you deserve.